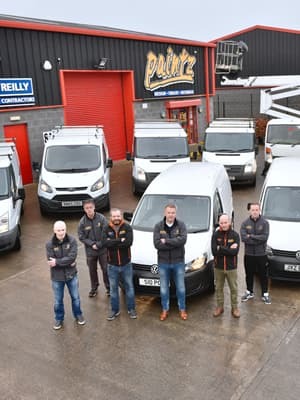 Patrick F. O’Reilly Ltd is an established Painting & Decorator Contractor operating in Northern Ireland since 1993. Our vast Painting & Decorating experience during this period has enabled us to carry out projects throughout the UK and Ireland. We now work across Ireland North and South and throughout the UK on a daily basis operating in multiple sectors simultaneously. We work in the following sectors on an ongoing basis; Commercial, Private/Residential, Public Sector, Healthcare, Sports & Leisure, Heritage & Arts, Industrial etc. 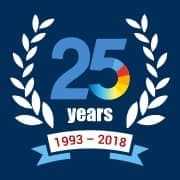 Regardless of the scale of a project; from residential homes to industrial sites we have a highly skilled team of painters and decorators under supervision of a site qualified manager to oversee all aspects of work including site management, Health & Safety, high standard workmanship, Quality Control and cost effective. All our staff are registered members of CSR, IPAF, NEBOSH, PASMA, First Aid and Asbestos Awareness. That will ensure a project is completed to a high standard and timely manner. Patrick F. O’Reilly Ltd is a Dulux Trade Contract Partner, a certified accreditation that is independently accessed on an ongoing basis. This is awarded in partnership with Dulux to the very best of Painting and Decorating Contractors in the industry that have achieved a high quality of workmanship and efficient business processes. It's that simple. We understand the time pressures of large and small projects alike. We have made it our mission to provide the highest quality workmanship in the time allocated. No project is held up 'waiting for the paint to dry'. Detail is our lives. Quality painting and decorating requires excessive, almost obsessive, attention to detail. From the comer of a coving to the tidiness of the building, we are proud of our ability to make the smallest detail right. Our customers can relax in the new environment we have created for them with complete confidence.